The same wisdom holds true for business. If you take a look at the biggest headaches that you have to deal with on a daily basis, chances are good that the majority of them have to do with people. So what’s a company to do? Here are a few suggestions for how to solve some common people problems in your organization. This Ritz-Carlton Credo identifies a culture of service. “Service” is the common trait among all their people that the company will look for when hiring. Who are the most successful people in your company? What do they have in common? Truly successful organizations have a common trait that they look for in prospective employees and foster in current employees. This trait is defined by the culture of the organization. The Navy Seals value perseverance above all else. For Ritz Carlton, it’s service. Identifying your company’s culture and nurturing those traits that support the culture is critical to building and maintaining a winning team. With the prevalence of technological advances across all industries, many routine jobs are being automated. A typical reaction to this trend is to reduce headcount. Mr. Siu [the researcher referenced in the article] thinks jobs have been taken away by automation, more than by outsourcing. While some manufacturing jobs have clearly gone overseas, “it’s hard to offshore a secretary.” These tasks more likely became unnecessary due to improving technology, he said. While automation almost always leads to the need for fewer people, it’s important for businesses to realize that the people they now need are different. They need people to analyze, not just input, the data. Are there some people in your organization that you feel aren’t living up to their potential? Perhaps the problem is one of fit. Even the most talented employee is limited if the work they are doing isn’t the right fit for them. Consider moving these people to a part of the company where their gifts would be better utilized. You might be surprised that your accounting manager has a passion and a talent for marketing that isn’t being tapped into. Be open to allowing your best people to take on tasks outside of their job description. Obviously, hiring the right people in the first place eliminates a lot of headaches. Problems arise when a business doesn’t carefully define what the “right” person looks like. Often, they get caught up in a particular skill set they believe a job requires. Then they lose sight of a better indicator of success – talent. Talent is that innate quality that transcends skill. It’s something that a person either has or doesn’t have. You can’t teach talent. Look around your organization for those people that everyone goes to when they need something done. They are the ones with talent. Need help minimizing people problems by hiring the right people? 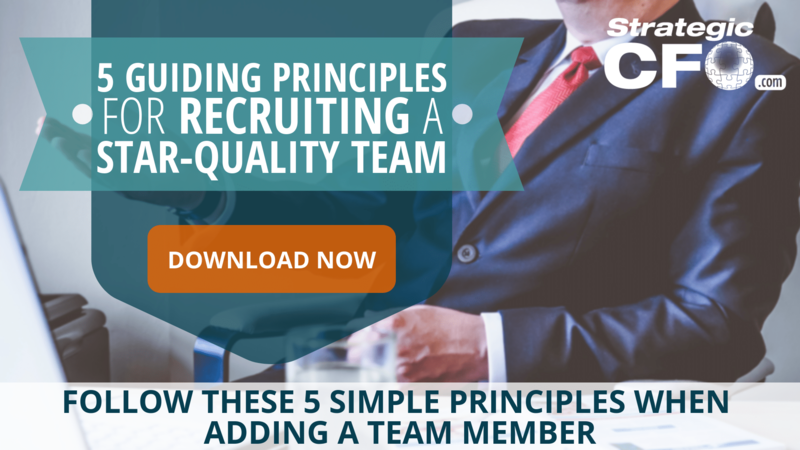 Download our “5 Guiding Principles for Recruiting a Star-Quality Team” below!